Svelte also qualifies as a low glycemic product with a low sugar profile. 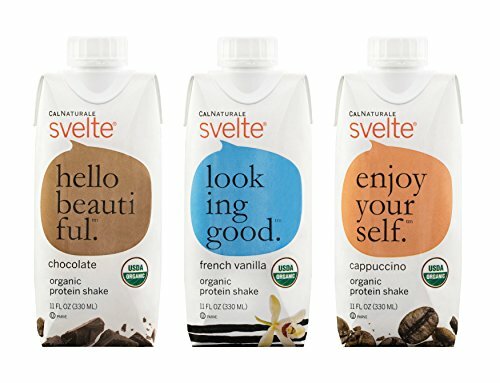 Here’s why Svelte is special – 3 delicious organic flavors: Chocolate, French Vanilla and Cappuccino, all made with real organic flavor ingredients, not just natural flavors. Taste preferred: 3-to-1 over competitive protein drinks. Value priced for a premium product! Low sugar, low-glycemic, tested by GI Labs. Vegan: dairy & cholesterol free, Carrageenan-free.